A New Trailer for ‘Ash Vs Evil Dead’ Has Been Awoken! Oh man, I am beyond excited to see Bruce Campbell’s triumphant return as our favorite S-Mart employee in Starz’s Evil Dead/Army of Darkness continuation, Ash vs Evil Dead. The Starz series, which is set to debut later this year, will consist of ten half-hour episodes that will chronicle the return of Ash (Campbell) to the fight against the forces of the Necronimocon. After being on the sidelines for nearly three decades, Ash is pulled back into the fight to try and stop the forces of evil from taking over the world as we know it. 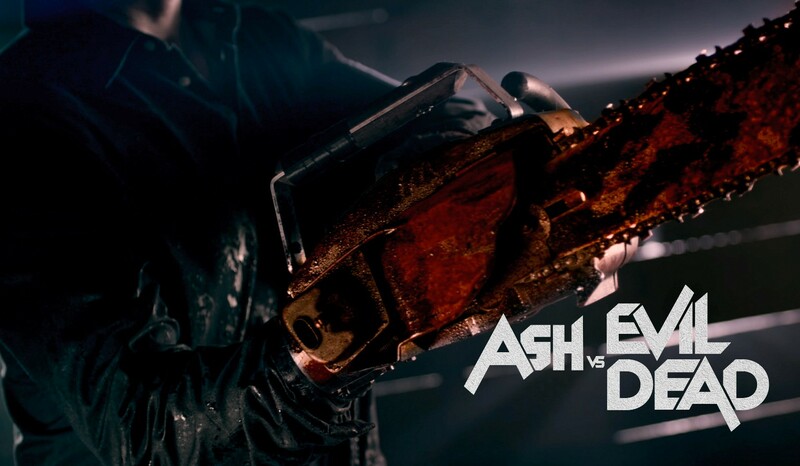 This entry was posted in Trailer, TV and tagged Ash Vs Evil Dead, Ash vs The Evil Dead, Bruce campbell, sam raimi, starz. Bookmark the permalink.